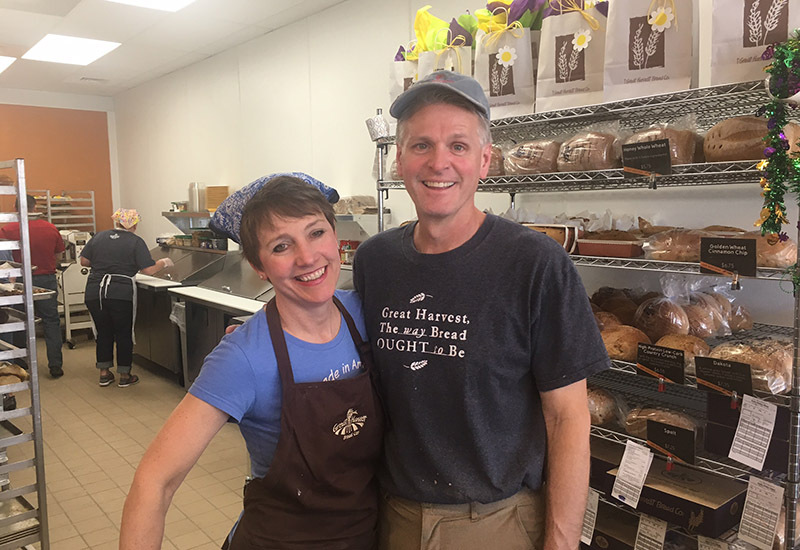 Cary, NC – Great Harvest Bread Co. is well known to Caryites for their bread made from scratch with milled grain. Now, Great Harvest Bread has expanding their store with a new café to sell sandwiches, salads and more. 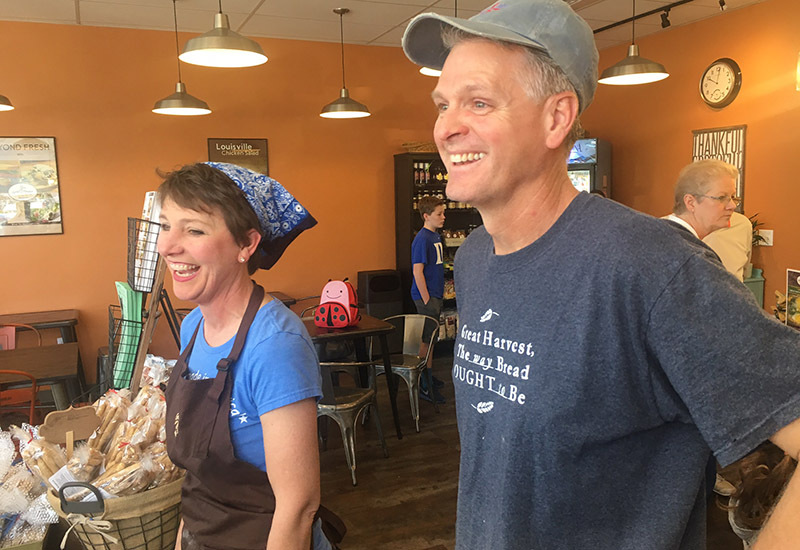 Paige Williams, owner of Great Harvest Bread Co. in Cary, said the community support for their product has spurred them to try something new, opening their café on Monday, February 27, 2017. “We felt like it was time to offer new products,” Williams said. Among those new products the café sells are a variety of salads and many types of sandwiches, from traditional ones such as ham and cheese to signature cobb and Italian sandwiches. Also, Great Harvest Bread is releasing several new breads for March, including Irish soda bread, gouda and stout and Carolina caraway rye. Great Harvest Bread’s café is located at at 1240 NW Maynard Rd. 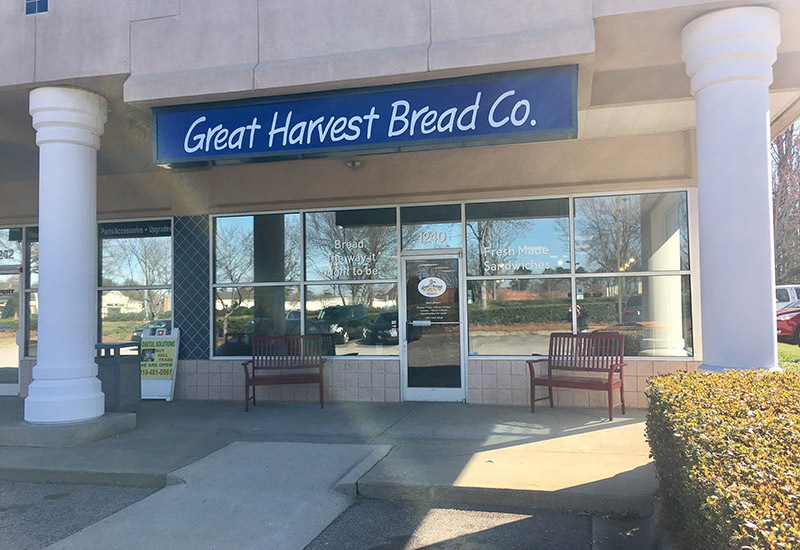 If that address sounds familiar, it’s because the original Great Harvest Bread bakery is only a few doors away on 1220 NW Maynard Rd. The bakery will still be there but it is changing in a big way. “That retail space will close to customer use and it will be a gluten-free bakehouse,” Williams said. The plan is for the bakehouse to open back up near the end of March and in the meantime, they are working to clean out all flour so it can be a totally gluten-free product. Williams said this is a response to customer demand. “We are always getting people asking about gluten-free items and there is a big demand for it,” she said. A gluten free bakehouse? Wonderful news! I wish you every success. Make sure you get on the Find me Gluten Free app.